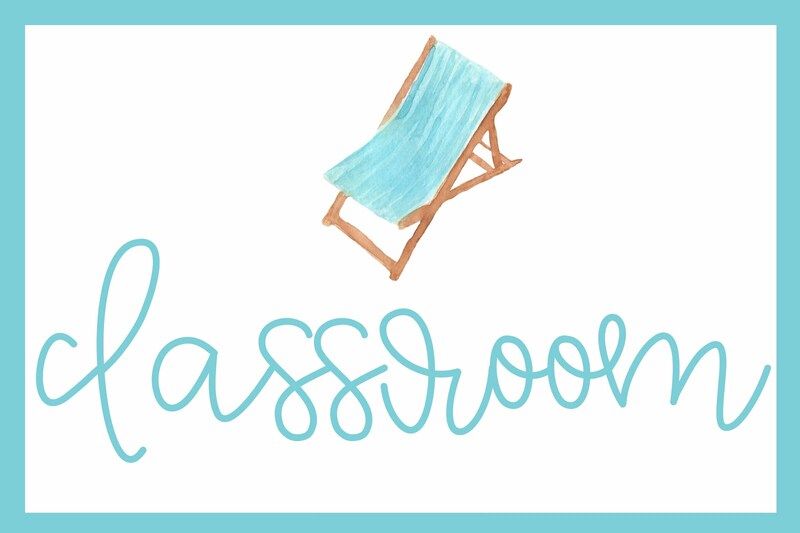 Many of you are desperately counting down the days to summer vacation right now, and I know all too well how much of a struggle it is to keep students engaged through the last few days of school! My favorite way to keep students working hard through to the end of the school year is with projects. 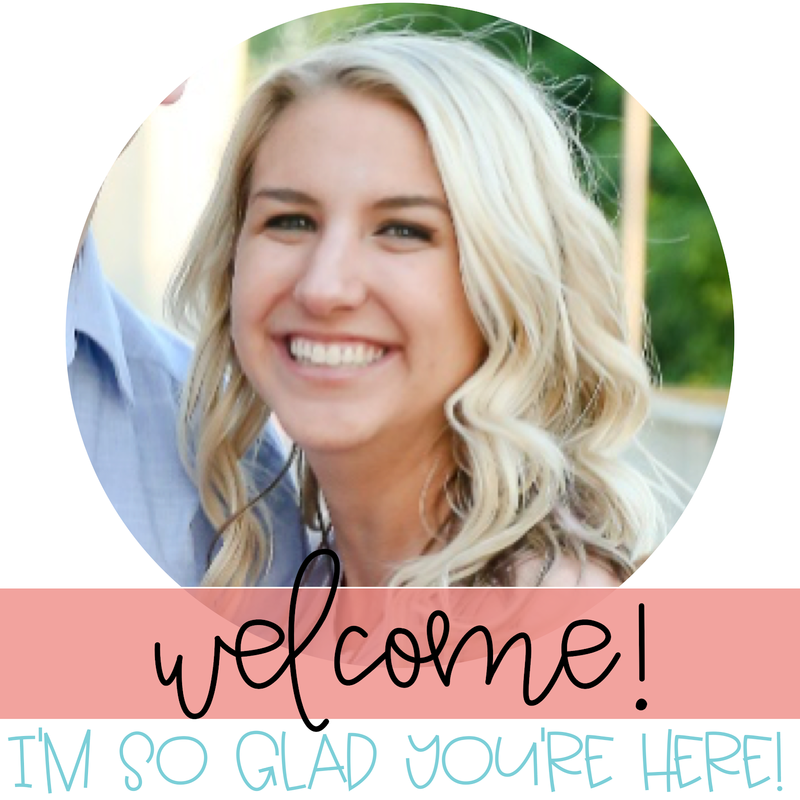 You can hit several standards at once, group students together so they don't need you as much (all the praise hands for this one), and make it as big and creative as you want! Some easy-for-teacher projects are math PBLs. My Build a Zoo PBL is PACKED full of Common Core math standards that can be used as review this time of year. 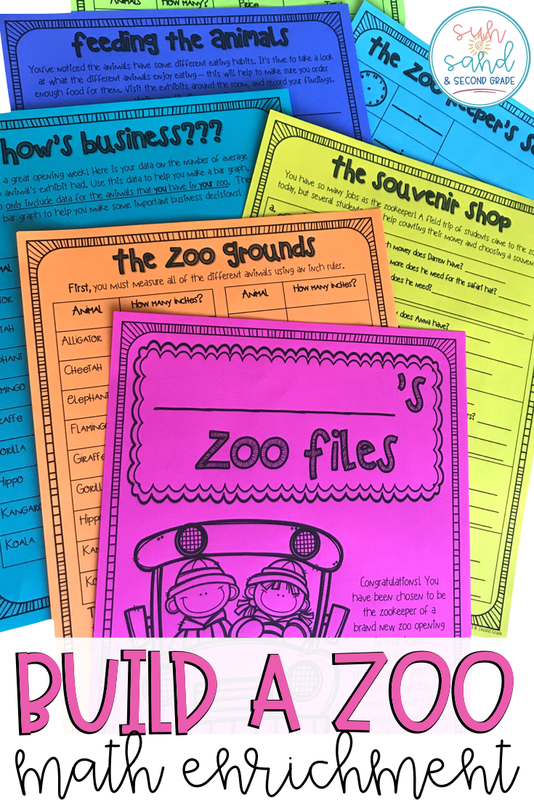 It is differentiated, so you can still enrich for your higher achieving students, and the idea of designing a zoo is super engaging for students...even as summer break is on their minds! I wanted to give you all a close look at the Build a Zoo project, so you can see what I'm talking about! 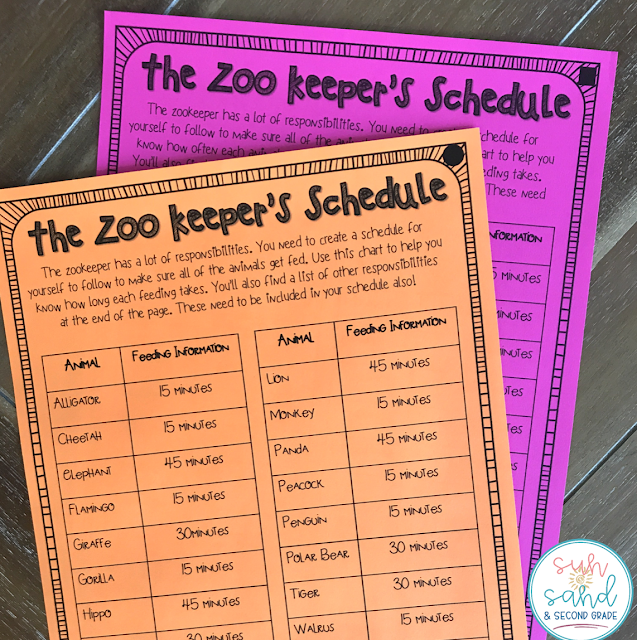 First, your students will need to choose the animals they want to have in their zoo. You can differentiate this by giving students a budget of $100 or $1000. 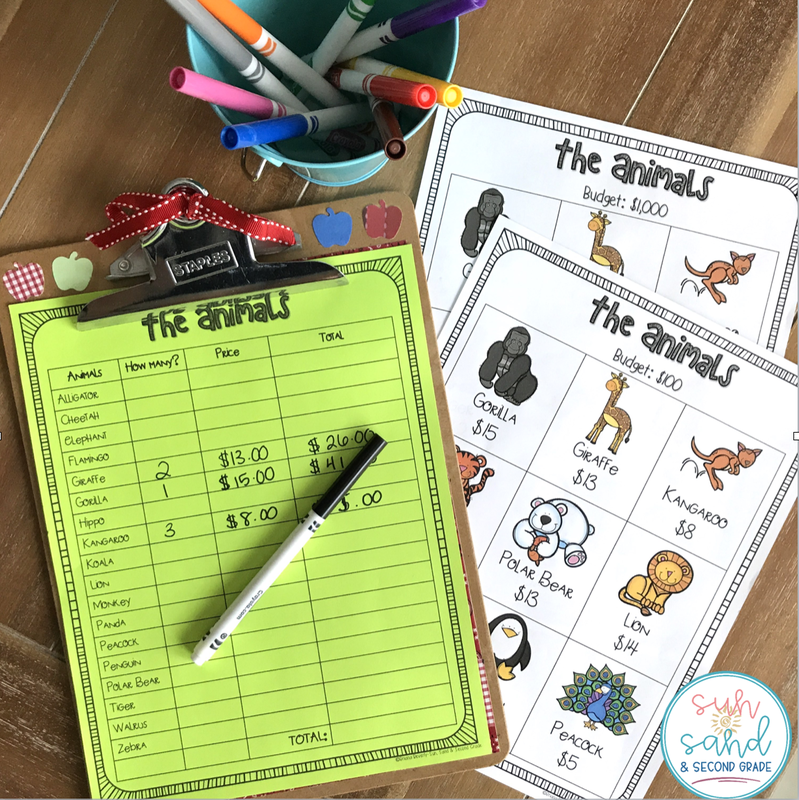 They decide how many of each animal they would like, and they track their spending. Staying in budget provides a bit of a challenge...making it extra fun! 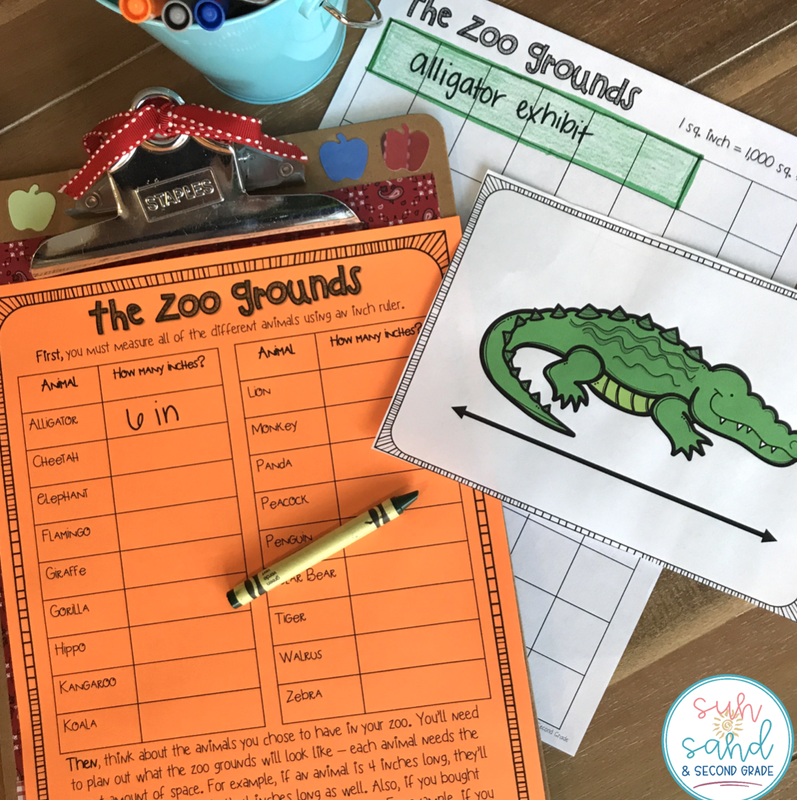 Once your students have chosen the animals they would like in their zoo, it's time to design the zoo grounds! They must measure the animals of their choice using the animal task cards and draw the exhibits to scale. Your class will love being treated like architects with this task! **If you are a Canadian or Australian teacher, measurement pages using the metric system are also included! Alright, your students have animals, and they have designed the actual zoo. Now, your students must use their knowledge of time to create the zookeeper's schedule. 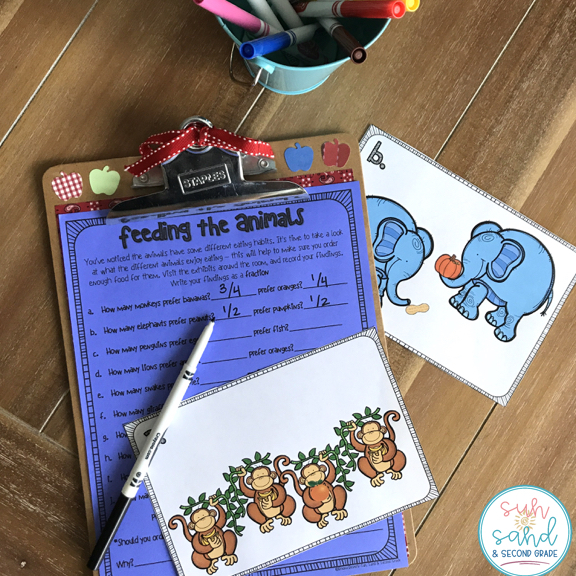 Depending on the animals they have chosen, the time spent feeding animals will vary. There are also special shows and events that the zoo hosts that they must work in! This section is also differentiated, so you can switch it up for students who have mastered elapsed time at different levels! 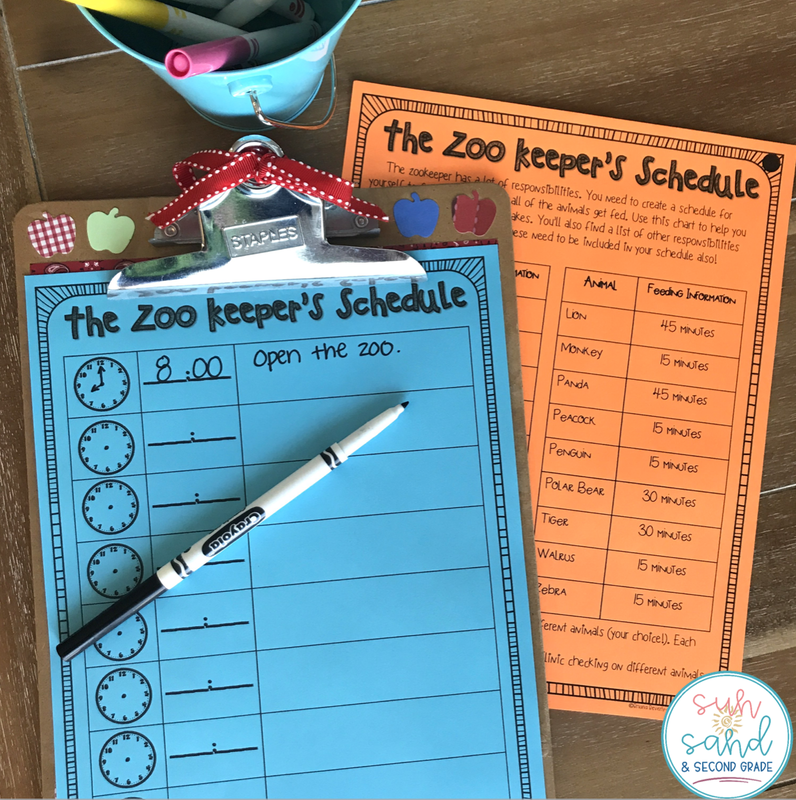 The zoo is open and running, and it is the zookeeper's job (aka your students') to feed the animals and make sure that they get what they need! This section of the project reviews fractions! Students must determine which fraction of the animals prefer different types of food. Your students will be working so hard as they jump from skill-to-skill in this PBL activity! Money is another important skill you may want your students to review this year. 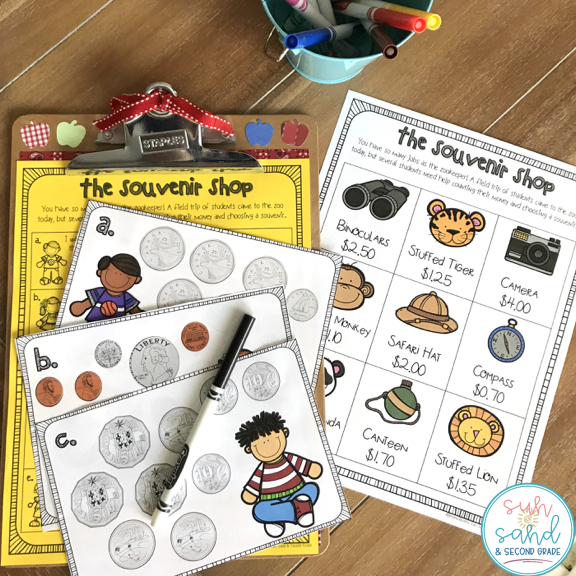 As customers are purchasing their souvenirs, the zookeeper must help them determine if they have enough money for the things they want! 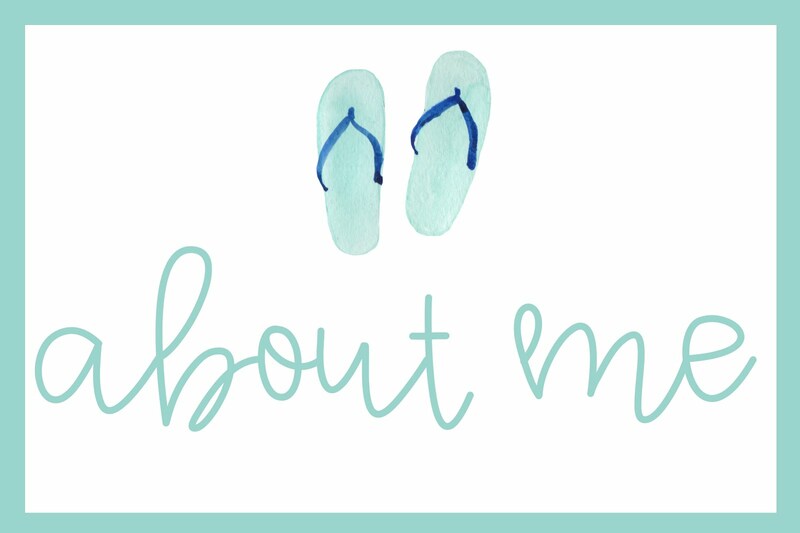 **As a bonus, this portion of the project comes with task cards using Canadian and Australian money clip art! After all parts of the zoo are up and running, an important part of any zookeeper's job is to track how well their zoo business is going! 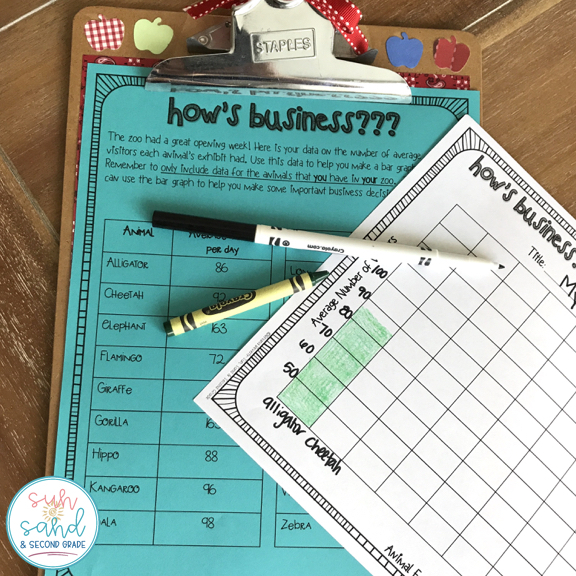 Students can brush up on their data collection skills with this graphing task to finish up the project. Whew! As much as that may seem, that's not even every piece of this project! But what's great about having so many options is you can pick and choose what will work for you class! If this is the first PBL your students have done, it may be best to introduce the tasks one or two at a time to keep your students from being overwhelmed. You also can staple all of the pieces together in a booklet and let the students work through at their own pace! The possibilities really are endless, which is what makes something like this perfect for the end of the school year. 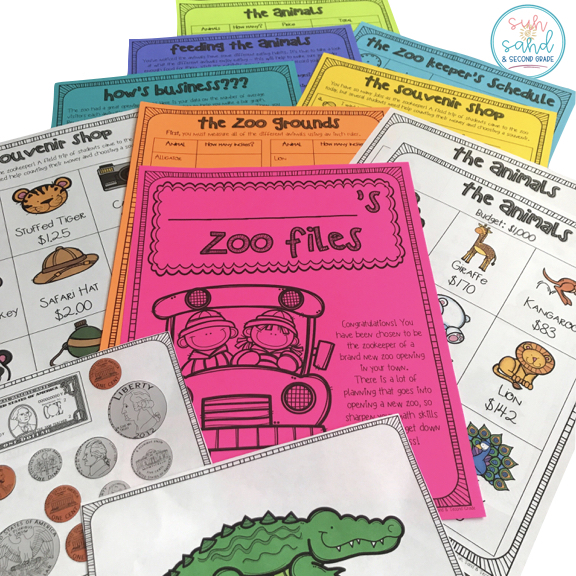 If you're interested in trying this project in your classroom, you can see it in my TPT store HERE. Want to remember this later? 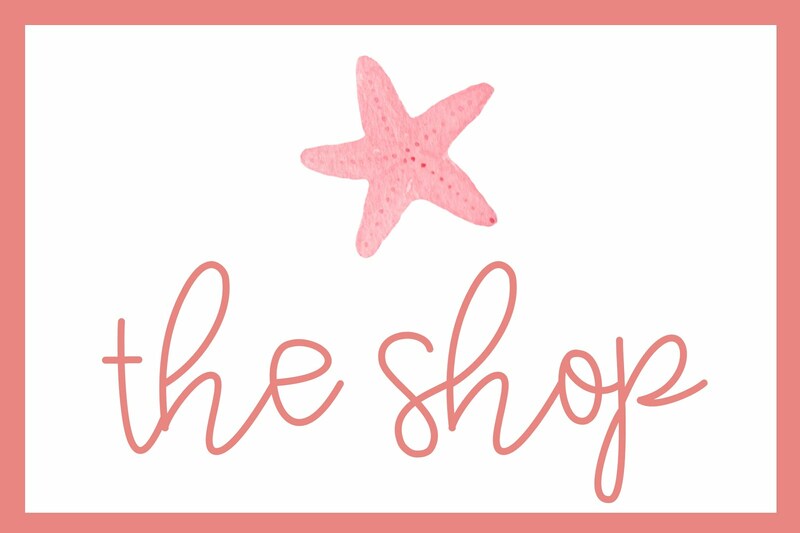 Pin it! This looks so cool!! I am looking for something to give my students to work on independently during RTI. I have a tier 3 group in my room so I can't really be available to the other kiddos while they are working. Do you think this would be good for them to complete totally independently? I think they look amazing!